When the gallbladder becomes problematic, it can be removed with a procedure called a Cholecystectomy. The gallbladder can have gallstones that cause pain for the individual, or it can get infected, requiring immediate removal. The Cholecystectomy is performed by either opening the abdomen, or it can be done laparoscopically. If the patient requires that an incision is made in the abdomen, there will be about a five to eight inch cut made on the right side. The gallbladder is then taken out through this incision. If the gallbladder is removed by a laparoscope, there are only about three small incisions made. One is in the belly button, one is on the right side, and one is in the middle of the stomach. The recovery time is shorter when the gallbladder is removed laparoscopically. As with any other surgery, there are risks that the patient needs to be aware of. These risks are minimal, but they do occur. Excessive bleeding and an infection of the incision area are the most common side effects that one may experience. The patient could have a heart attack or stroke with either procedure. One of the risks with the laparoscopy is a perforation of the bowel. In order to prove negligence in this type of surgery, there must be a disruption in the care provided by the doctor. If the doctor does not act quickly when a problem arises with the gallbladder and the gallbladder needs to be removed on an emergency basis or the patient suffers an illness because of the misdiagnosis, then the patient may have grounds for a negligent case. If the patient receives damage during the surgery that can be proved to have been prevented, then a lawsuit could be established. Proving that the patient has suffered damages that are the result of surgery is hard to do. The patient should keep all paperwork from the surgery and any information on procedures that follow the surgery. If the case goes to court and the patient wins their case, damages can be awarded to the patient. There are different ways that damages can be awarded. Most often, the court will award medical expenses to be paid, as well as physical and emotional suffering. If the patient died as a result of the procedure, funeral expenses can be awarded as well as wrongful death damages. 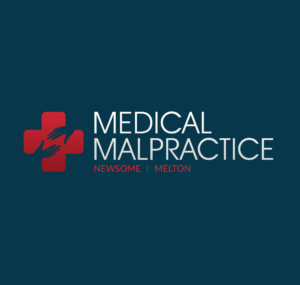 The best thing to do would be to contact an attorney to begin a medical malpractice case.